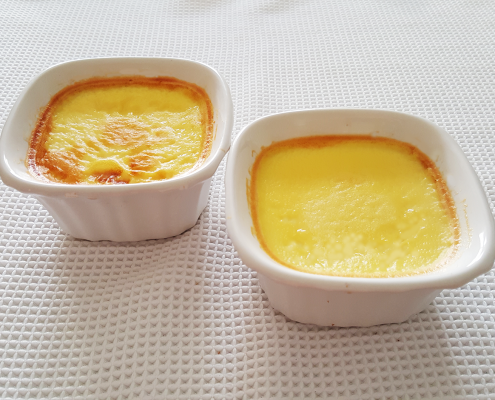 Crème caramel, flan, caramel pudding or crème brûlée. It’s a popular dessert made pretty much everywhere in the world, using simple key ingredients of eggs, milk and sugar. For now, let’s focus on how much sugar you will need to make a “delicious” caramel pudding. For simplicity, assume that 1 serving would use one egg. (so four eggs for four servings) Then how much sugar would you use for your batch? What do you think is the right amount of sugar to go with one egg, to make a delicious desert? Or, how much sugar should you allow for one serving of desert? A teaspoonful of sugar is 4 grams, so two tsp is 8 grams, and four tsp is 16 grams. And 1/8 cup of sugar is about 6 tsp. If you want to limit sugar to 3 tsp per serving, then you’d be using 1/4 cup of sugar for one batch (or four servings). Does this sound like a scandalously low amount of sugar? But don’t worry. The sugar in Japanese purin is close to that level, and still tastes yummy. We are made to believe we need a lot of sugar to taste deliciousness, but that is absolutely wrong. Deliciousness and the amount of sugar are not proportionally correlated. In addition, deliciousness is totally subjective: there is no such thing as a minimum amount of sugar you’d need to use to make a dish taste great. Deliciousness is determined by your taste buds. While they are amazingly resilient to find deliciousness in a variety of foods, they are also delicate. If you add too much sugar to what you eat, they will just become overwhelmed and numb. Then your brain also gets confused, and will end up sending the wrong signal: to eat more. The amount of sugar used to make food taste delicious doesn’t really matter. You need to train your taste buds so they can perform well. 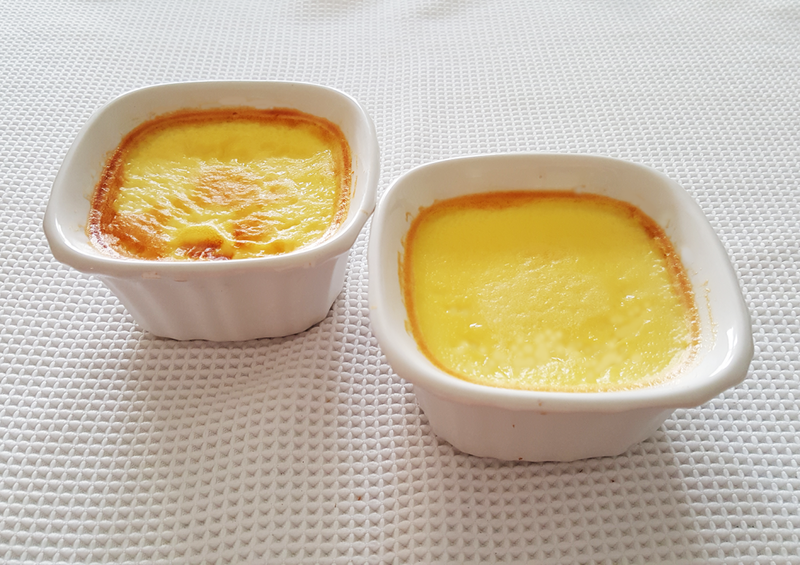 Since pudding is such a simple recipe, you can change the amount of sugar easily. Try different amounts and see how each batch tastes. Now which one is your favorite pudding? The one with 1/4 cup of sugar or the one with 1/8 cup? We are going to talk more about the true nature of deliciousness and the roles taste buds play.